A 19th century Tuscan castle jumps forward a few decades with the launch of the exhibition: “The Colorful World of Joan Miró—Graphics.” Through September 9, the works of Mirò will decorate the first floor of Castello Pasquini, bringing the Catalan artist’s vibrant palette and shapes to a village and resort known for its similarly-saturated beaches. With 70 works on display, the exhibition displays a combination of Miró’s graphics and pastels on paper, offering a full examination of the artist’s repertoire. Particularly focusing on his works from the early 1950s through the ‘80s, the show presents a culmination of Miró’s life, depicting his stylistic and chronological progression in the art world. In doing so, the gallery emphasizes art as a continuous process quite unlike the painter’s deliberate, often severe lines. As a whole, his works expand upon one another, building on his previous techniques and resulting in unique and innovative designs that characterized his influence in the 20th century. Born in 1893, Miró first expressed a penchant for art at a young age, studying drawing as a child. Following a brief stint as an accountant, he enrolled in painting school before moving to Paris in 1919: the start of a life-long career characterized by his fearless ability to delve into abstract detail. During this time, Miró encountered fellow creatives Gaudí and Picasso, alongside whom he developed his artistic methods. Dabbling in everything from Surrealism to Dadaism, Fauvism to Abstractionism, the artist has created pieces similar in style but varying in exact color and configuration. Displaying a combination of lithographs, drawings, and mixed techniques, the Castiglioncello exhibition relies on geometry to create a cohesive narrative through images. 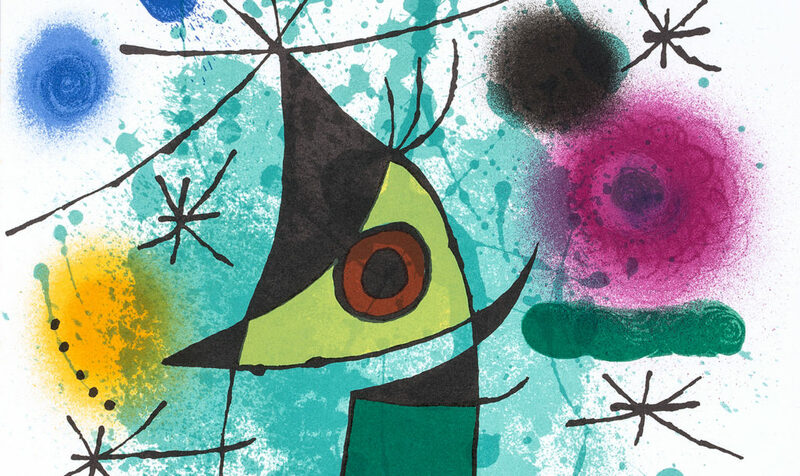 Miró used lithography—a printing technique dependent on ink and chemicals—to fuse rich shades of green, blue, yellow, and red, among an occasional, additional hue. He fills in the outlines of abstract, indistinguishable shapes with pops of seemingly sporadic color. Some of these lithographs are vibrant with crisp lines; others mimic sketches, where the black ink dribbles from the shapes into the white background. His 1966 “Ubu Roi” images deviate slightly from this formula, as they use deviations of primary colors to fill both the shapes and the lines between them. In these lithographs, Miró weaves pinks, oranges, and teals to create figures that aren’t quite figures in their abstraction. In“Je Travaille Comme un Jardinier,” however, Miró once again relies on empty space, creating abstract works that appear both crayon and watercolor-like in medium. Yet beyond using clean canvases, the images in this series are not cohesive; some evoke sketches, while others indicate a painter’s palette with light shades that nearly blend into one another. A metaphor for artistic creation, these paintings play with the definition of art and question the overlap between form and content. Before Miró’ passed in 1983, he encouraged artistic development; he founded the Joan Miró Foundation and Center of Contemporary Art Studies in 1975 to coordinate scholarships, artistic research projects, and activities for institutions and individuals in Barcelona. Whether in Spain or in Italy, Miró’s legacy—like his art—is not confined to any one line. The Castiglioncello show has hours from 6 to 11 pm. Visitors can enjoy a full day at one of the town’s many beaches before heading indoors to cool down and soak up art in addition to sunshine. The gallery permits entrance until one hour before closing time. Tickets are €6 a person, with a €4 reduced rate for visitors in the six to 25 age range. Beyond the art, the castle itself is worth visiting. Built in 1889, the castle precedes Miró’s birth by only four years, and was first home for baron Lazzaro Patrone. Once surrounded by farm land, the castle is now fenced by the park, which was built in accordance with the aesthetics of the time period, as well as for logistical privacy reasons. Sold by the baron in 1938, the castle was bought by the Pasquini family in the ‘40s and maintains the name as a reminder of its past today. 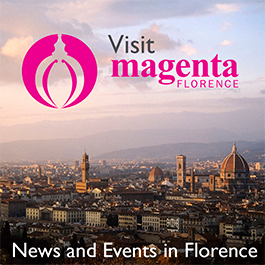 Currently owned by the Municipality of Rosignano, Castello Pasquini has hosted additional exhibitions, from retrospectives dedicated to Tuscan Impressionist “Macchiaioli” artists to last year’s Franco Zeffirelli movie costume display.